Actress and television host Tara Sharma gets to travel a lot. On one of her recent trips to Cannes, she got to spend some quality time on holiday with her family. Read on to find out what they did in the south of France. My trip to Cannes this time was doubly special – I was travelling with my husband Roopak and my kids, Zen and Kai. Though Roopak and I have been before, this time we looked for a more kid-friendly itinerary. 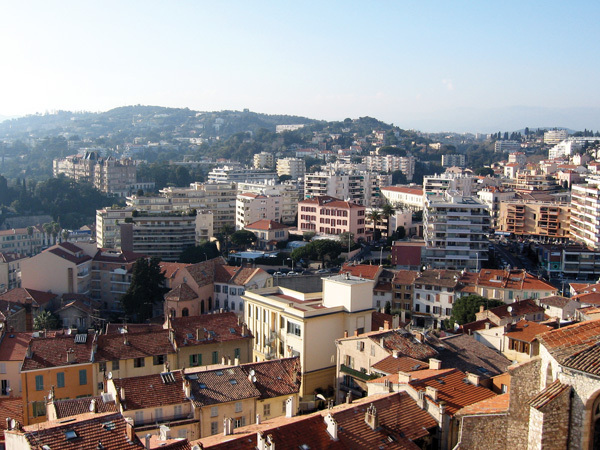 Surprising as it may sound, there is so much for children to do in Cannes. This small city in the French Riviera may be known for its annual film festival, but it’s also an important part of the global advertising industry. The kids and I ran along the iconic La Croisette by the Mediterranean Sea, where we saw the festival venue and walked on the famous red carpet. We visited the Cannes Walk of Fame, where we not only saw but placed our hands in the imprints of celebrities like Sylvester Stallone and Meryl Streep. 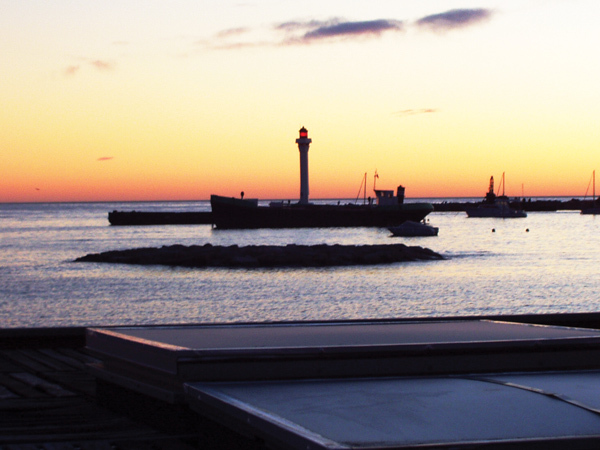 La Croisette is known for its collection of luxury shops and cafés. Art and entertainment are a big part of Cannes culture, and one finds buskers and musicians at every corner of this wonderful place. Zen thoroughly enjoyed this, and he and I even danced to their tunes. Zen also loved the street vendors and shops. One particular toy store caught his eye, keeping him occupied for quite a while. A short walk later, a hat vendor on the pavement did the job once more. Zen chose a black hat (which we of course bought), and we got sunglasses for the boys, accessories that contributed greatly to their signature Cannes look! We stopped at a restaurant for lunch, allowing the kids to catch up with daddy. Luckily, Cannes isn’t a place where finding food for kids is an obstacle. It was easy to find both vegetarian and non-vegetarian fare that the boys liked. As for accommodation, I strongly suggest a serviced apartment, especially when travelling with young ones. If and when the need arises, you can cook for yourselves or stock up on supplies. Our serviced apartment was such a boon! 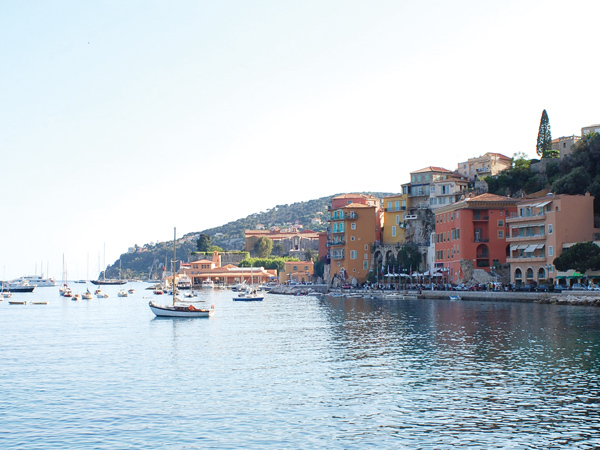 Another day, we explored the French Riviera. Zen and Kai enjoyed watching the trains go by. We took a tour of the Riviera on a toy train – the kids were thrilled to say the least! A glimpse of Le Suket, the old city, featured beautiful murals that echoed Cannes’s connection with the arts and cinema – paintings of famous films and faces. One particular bus stop pays tribute to 100 years of cinema with Mickey and Minnie Mouse, Laurel & Hardy, and Batman. A cheese shop caught our fancy in Le Suket. Did you know that Europe has more than 100 kinds of cheese? We tasted many different and savoury kinds. While my older son wasn’t too excited by this, Kai totally loved it! We also found a shopping street with reasonable prices – very unlike La Croisette. Sightseeing and exploring a destination isn’t the easiest thing to do when you’re travelling with young children, so we had to take breaks every so often. On one of these, we stumbled across a charming chocolate and cake shop. Needless to say, the boys were more than pleased! Later on, I met up with some of my fellow Indians and colleagues, for a delightful coffee with Shekhar Kapoor, Raj and Balki. An array of sea life awaited us at an underwater aquarium, where we were wrapped by a tunnel of water and marine life. We all had a blast watching sharks swimming overhead, and the polar bears rolling around in their enclosure. We even got the chance to get acquainted with a very tricky sea lion, as well as watch the dolphins do some acrobatics. But the orcas stole the show with their fascinating, beautiful stunts – Zen and Kai were mesmerised! One evening, my mum babysat the kids while Roopak and I attended a party hosted by his company, Bang Bang Films, on La Croisette. It was really quite a fun affair! The trip was very invigorating and inspiring for me. Having my children around in happy spirits, in a new country and with new experiences, was simply wonderful!